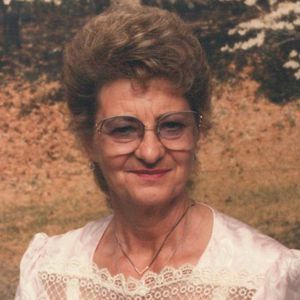 Elfriede Janonis, age 88; beloved wife of Vytautas of 42 years; loving mother of Valerie Petron (Steve) and Magdalene Clemens; step-mother of Julius (Kristen) and Rose Messer; also survived by many loving grandchildren and great-grandchildren. She passed away peacefully at home on Monday, January 8, 2018. Friends may call at the BUSCH FUNERAL HOME, 7501 RIDGE ROAD, PARMA, FROM 2-4PM AND 6-8PM ON FRIDAY, JANUARY 12, 2018. Add your thoughts, prayers or a condolence to Elfriede's guestbook.